The disease activity score based on 28 joints (DAS-28) might not be sufficient to assess remission in rheumatoid arthritis (RA). Several studies have shown that patients in remission according to DAS-28 still evidence synovitis by Ultrasound (US) and Magnetic Resonance Imaging (MRI). Those patients could eventually develop irreversible joint damage. Although 18F-Fluorodeoxyglucose Positron Emission Computer Tomography (18F-FDG PET/CT) is known to be correlated with DAS-28 in patients with active RA, its role in assessing remission has not yet been evaluated. A cross-sectional study was performed on 63 RA patients. A total of 1764 joints was assessed. Clinical assessment (DAS-28), 18F-FDG PET/CT and US were performed the same day. Patients were classified in 3 groups according to their disease status : 22 (35%) were in remission (DAS-28 < 2.6), 31 (49%) had a low or moderate disease activity (2.6 < DAS-28 ≤ 5.1) and 10 (16%) had a severe disease activity (DAS 28 > 5.1). PET/CT was analyzed first visually, then semiquantitatively by determining the Standardized Uptake Value (SUV) of the positive joints. Synovitis were considered as positive in US according to OMERACT criteria. Logistic regression analysis was applied to discriminate between severe and non-severe patients and between subjects with and without remission with respect to the number of PET/CT (or US) positive joints. Cutoff levels were determined from receiver operating characteristic (ROC) curve analysis and efficacy by the area under the curve (AUC). Results: Of the 1724 articulations, 373 (21.2%) were tender, 242 (13.7%) were swollen, 361 (20.5%) were PET/CT positive and 152 (8.6%) were US positive. Discrimination between severe and non-severe patients was significant for PET/CT (AUC=0.77, P=0.0046) and for US (AUC=0.84, P=0.0030). Cut-off levels were 8 positive joints for PET-CT, 17.8 for the cumulative SUV and 3 positive for US. By contrast, patients in remission could not be discerned from others: AUC ranging from 0.51 to 0.60 (P > 0.05). Among the 22 RA patients in clinical remission, only 6 (27%) did not show any PET/CT positive joint and 5 (23%) had no positive joint by US. Moreover, in the remission group, 4 (18%) patients had more than 8 PET/CT positive joints and 4 (18%) more than 3 US positive joints. US and PET/CT were positive in different joints, predominantly in small joints of the hands for PET/CT. Both 18F-FDG PET/CT and US identify subgroups of patients with highly positive imaging findings and low clinical activity. A prospective analysis is needed, in order to define the potential clinical relevance of such infra-clinical disease. Disclosure: C. Rinkin, None; P. Fosse, None; N. Chapelier, None; L. Seidel, None; A. Albert, None; R. Hustinx, None; M. Malaise, None. Rinkin C, Fosse P, Chapelier N, Seidel L, Albert A, Hustinx R, Malaise M. 18F-Fluorodeoxyglucose Positron Emission Computer Tomography and Ultrasonography for Assessing Remission in Patients with Rheumatoid Arthritis [abstract]. Arthritis Rheumatol. 2015; 67 (suppl 10). 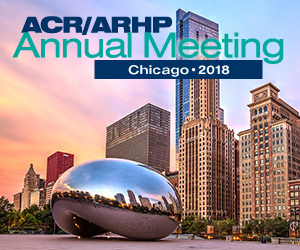 https://acrabstracts.org/abstract/18f-fluorodeoxyglucose-positron-emission-computer-tomography-and-ultrasonography-for-assessing-remission-in-patients-with-rheumatoid-arthritis/. Accessed April 21, 2019.